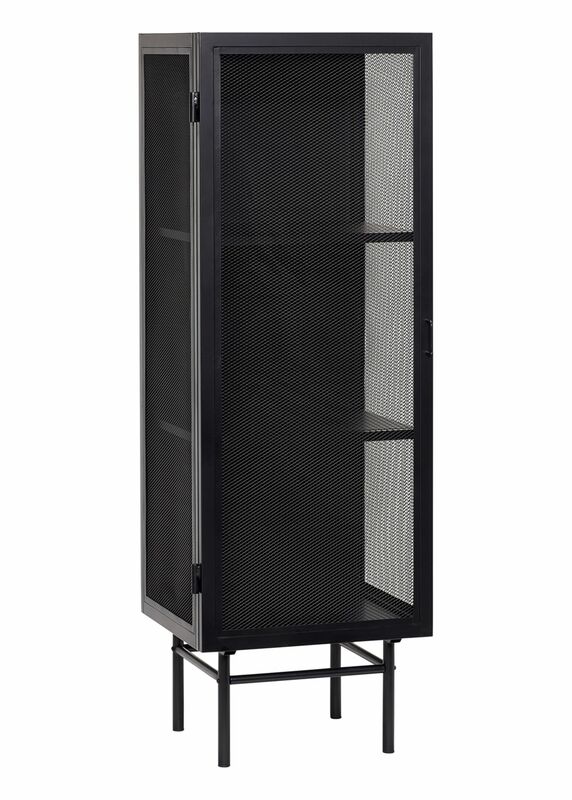 Metal Mesh display cabinet from Danish Hübsch made in black metal and metal mesh to create a unique "see-through" effect. 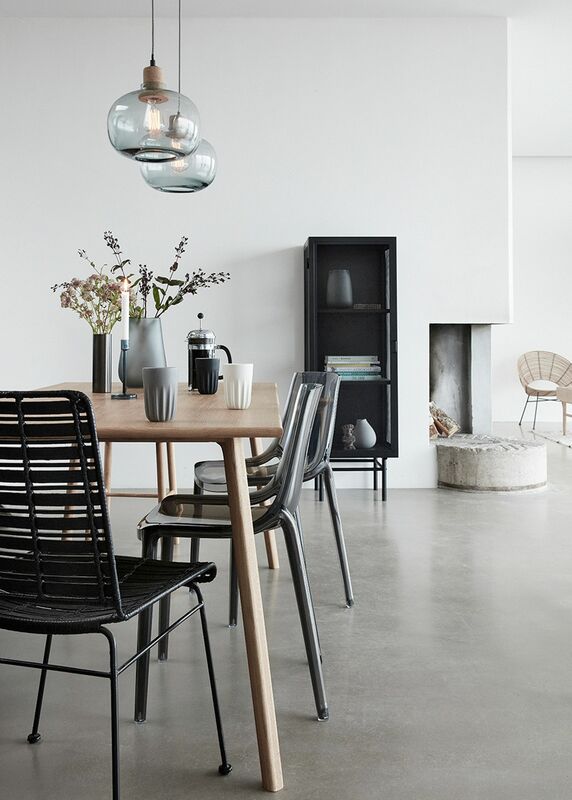 The cabinet has a classic Nordic style and a simple expression that fits into any home. The display cabinet is perfect in the dining room for service, in the kitchen for dishes and spices or as wardrobe. The display cabinet is available in two different sizes.